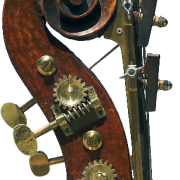 Barrie Kolstein admires a bass by J.B. Guadagnini, and examines the maker behind the instrument. TONAL MAGNIFICENCE, FLUIDITY OF WORKMANSHIP AND beautiful aesthetics are all synonymous with the revered master Joannes Baptista Guadagnini. He was, and is still considered to be, one of the most talented and influential luthiers of the 18th century. The chronology of J.B. Guadagnini is a little confused. He was born c.1711 to Lorenzo Guadagnini and Dominica Scarani in Bilegno, Italy and died in September 1786 aged 75. Many references record that the young man served his appren­ticeship in violin making with his father, who was purportedly a violin maker himself. However, in-depth recent research by Duane Rosengard has opened up new thoughts on this previously-accepted information. From Rosengard’s analysis we can now surmise that J.B. Guadagnini was more of a transient craftsman, who acquired the art and craft of violin making through his exposure to artisanal woodworking. His illustrious career was built around great adversities and hardships in his personal family life. Even with these difficulties, J.B. Guadagnini’s making work flourished. His professional life took him from Piacenza to Milan, to Parma and finally to Turin, Italy. It seems that he used his connections with pro­fessional collectors and players to find employment, and that they supported his work artistically and financially. 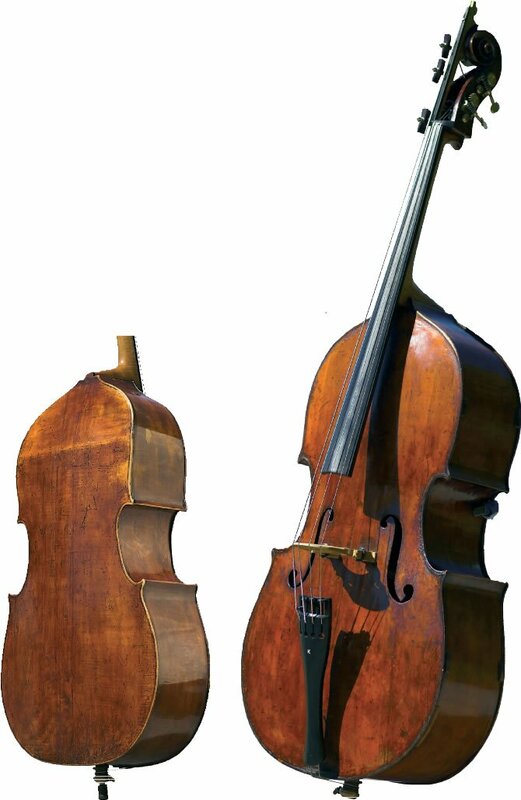 This patronage appears to have been the reason why he moved so frequently during his career in violin making, follow­ing the demands of clientele and patrons who supported him creatively. When sources of com­missions and orders for instruments dissolved, Guadagnini would move on to his next location. Guadagnini built upon the golden period Cremona workmanship that was such a prevalent influence over most new makers of this period in Italy. As his talents developed, his style of making became increasingly unique, and his instruments became well respected and in demand, even in his own time. His final shop was situated in Turin, Italy, where he found favourable patronage for his instruments with Count Cozio di Salabue, an amateur violinist and collector. The Turin period was a prolific creative time for Guadagnini, and produced the fine bass that is the subject of this study. The f-holes are quite distinctively cut, with a strong hand, proportionate in length and positioned quite vertically in relation to the top table. The back table is of slightly-figured maple. It is flatback in design with the angle break situated halfway between the neck block button and the upper violin corners. The ribs of the bass are of matching character maple to that of the back table. The scroll is originally of slight figured maple, with wonderful evidence of Guadagnini’s workman­ship shown in the unfinished gouge marks left throughout the volutes or turns of the scroll. The neck is a moderately flamed maple neck graft, quite expertly accomplished. Also in evidence are individual Baker-style brass tuning gears. It is varnished with a typical Cremonese oil varnish in a golden brown with reddish hues, quite spectacular in colour and transparency. This wonderful bass has great depth of sound with superb projection and is extremely even in all tonal registers. It is truly a masterful example of J.B. Guadagnini’s workman­ship in all its aspects and is currently in the collection of Maestro Eero Munter.